What’s one way to create a major spark in your classroom? In one word: videoconferencing. Emotional. Transformative. Touching. Passion inducing. Educational. These are only some of the words I can use to describe the impact that face-to-face interaction through videoconferencing has had on my elementary school students over the last eight years. It all started in the fall of 2009, when a family from my school community broke the news that they were leaving our suburban New York town and moving to Hong Kong. The mom and I got together for a goodbye lunch and talked about keeping in touch despite the miles. We were discussing using Skype for this purpose, when it suddenly occurred to me that our social studies curriculum was changing that year to focus on China. How great might it be if we were able to Skype live from my classroom to her two young sons in Hong Kong? Soon after, I borrowed a webcam, taped it to a box, connected it to my computer, downloaded Skype and hoped for the best. (I warned my students that failure was part of learning, so if this didn’t work, we were still gaining useful life experience.) Luckily, things went well. Really well. The results were unlike anything I’d ever experienced in my life as a teacher. This was a career-changing moment for me, and a major shift for my students. My third graders were fascinated and enthralled. “How is it possible that we can talk to Matthew and Josh all the way in Hong Kong without a wire coming out of the computer, going down the hall, and through the ocean?” asked eight-year-old Anna. Since that first video call, my classes have had calls with people on every continent and more than 40 countries. We’ve learned about language, art, music, government, science, math and culture. We’ve become true global citizens. Guest Speakers: After finishing a chapter book together as a class; my students wanted to learn more and asked if we could meet the author. They were now savvy to the magic of Skype, having had the call with Hong Kong. This was their idea, not mine. I emailed Robert Kimmel Smith to see if we could meet him via Skype to learn about his book, The War with Grandpa. He agreed and again, this was an unforgettable experience. The author taught the kids about the writing process, about character development, about getting published. He used their names to create a personal connection. The third graders were so motivated that they asked me if they could publish their own stories. And we did. But I’ll get into that in another post. In the meantime, here’s a great resource for finding guest speakers, such as authors, for your class. 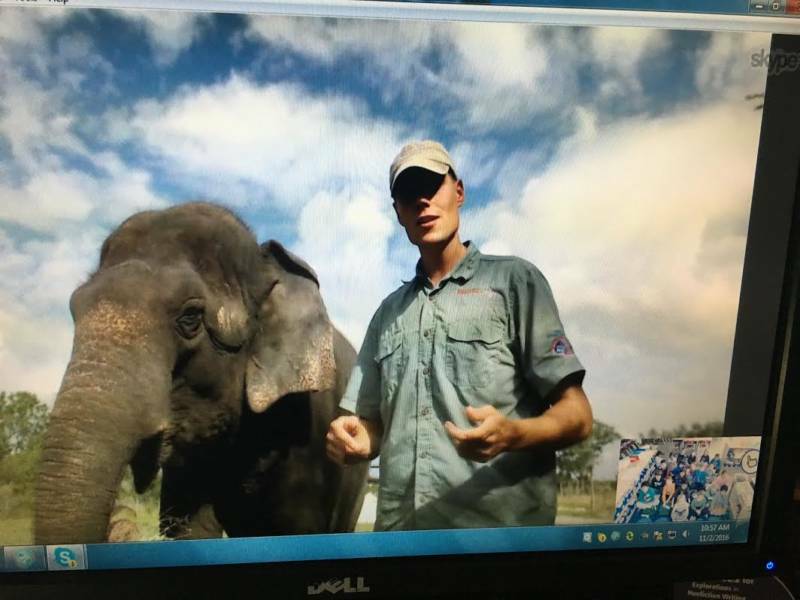 Virtual Field Trips: What better way to immerse elementary students in new worlds via images and sounds than by taking virtual field trips? My students have traveled underwater with Fabien Cousteau as he lived under the sea, off the coast of Florida, for 31 days. And they’ve traveled to the far north to meet digital explorer Jamie Buchanan-Dunlop. Mystery Skype: Games are big motivators for many primary school kids, and Mystery Skype fosters deductive reasoning in students as they have fun along the way. For kindergarten through second grade, Mystery Animal and Mystery Number are big motivators. 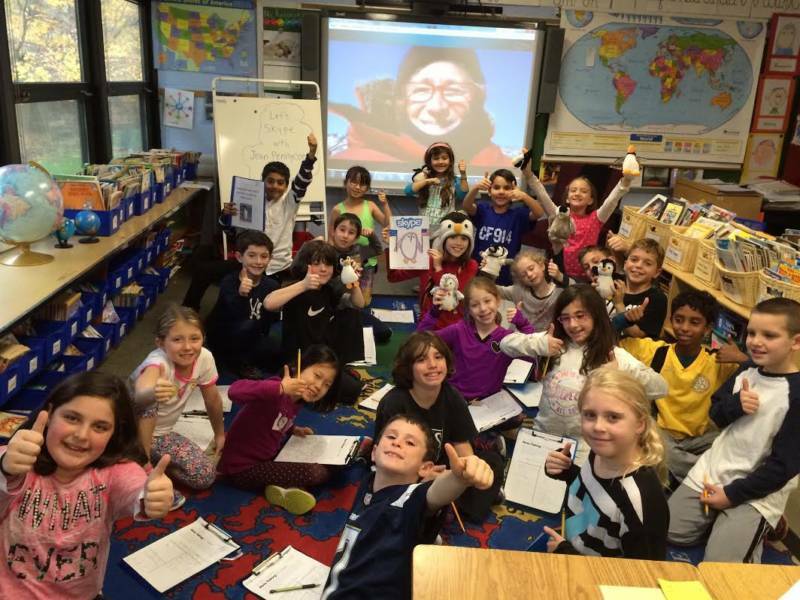 For third through fifth grade, Mystery Geography Skype is the ticket. Here, students use words such as hemispheres, border, equator and landlocked to find yes/no answers to questions and figure out the location of another class, somewhere in the country or world. Skype Lessons: Learn from experts on a variety of topics, such as the rainforest or climate change. Skype lessons are available for students in elementary school by videoconference. Skype Collaborations: Teachers can use Skype collaborations to connect their students with another class and work together to develop awareness or solve a problem related to a common goal, such as climate action. Recent collaborations with my class have involved working with students from Kenya, Macedonia, India and South Africa on projects such as solar lamps and protecting children’s rights. If you’re interested in using Skype in your classroom, give it a try. It’s really simple. Truly. Here’s all you need to do. Check to see if your computer has a built-in webcam with a microphone. If not, get an external one. They’re inexpensive and easy to find. Download Skype. Other options are Google Hangouts and Zoom. To make connections, sign up for a Skype in the Classroom account. Contact someone from a posted lesson, or create your own. Schedule a test call, prior to the main call, to ensure the technology is working correctly and that both sides agree on the format the call will take. 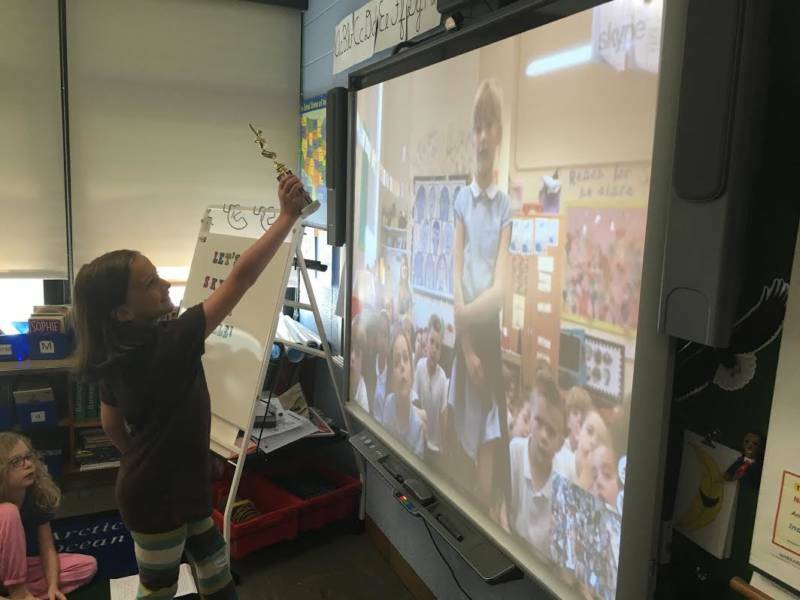 Skype calls work hand-in-hand with reading, writing, math, science and social studies. Students conduct research before the calls, take notes during the calls, and write reflections and create movies, digital stories and podcasts afterward. The calls ignite the passion. 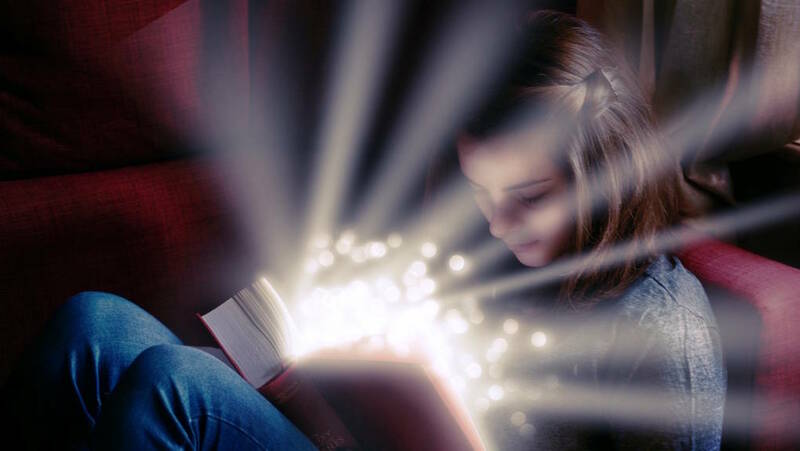 Emotional and intellectual connections have paved the way for magic to take place in my classroom. 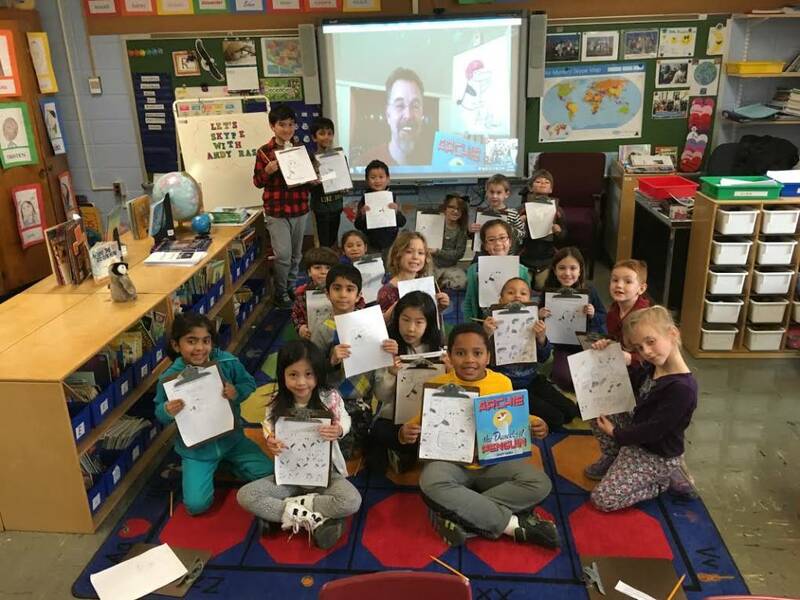 Before Skype entered Room 34 of my suburban New York elementary school, my students, no doubt, received a solid education in reading, writing, math and social studies. But once we made that first connection to students in Hong Kong, everything changed. What a fantastic and informative piece. Technology does do wonders, and the age of Information Technology is revolutionary. The digital natives are the hope of the future, and they are lucky because everything is convenient for them. Kudos to the amazing EdTech teachers like you who help mold children to become advocates of oneness and responsible citizens of the world.